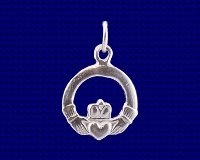 Sterling silver knight on horseback charm. This popular London charm is of a medieval knight in armour. armour was worn from about the 13th until the 17th century when the advent of guns made it obsolete. 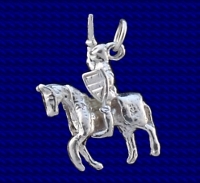 Craftsman made Sterling silver Knight on Horseback charm. Approx. 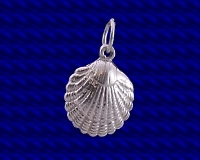 size 20mm x 25mm.